Art Cogan is a manager for XL Hybrids, which offers battery electric powertrains that convert vans and trucks into hybrid vehicles. In the past, plunging gas and oil prices hurt the clean energy sector, making conservation less compelling, alternative technologies less competitive, and new investment rare. But in this cycle, it’s all changed. Despite the dramatic fall in oil and gas prices over the past year, bankers, venture capitalists, governments, and traditional energy companies continue to pour money into clean energy products and projects, from massive wind and solar farms to energy efficient technologies to small hydroelectricity projects. Global investments in clean energy hit a record $329 billion last year, up 4 percent from 2014, according to data from Bloomberg New Energy Finance, a research unit of Bloomberg LP, the financial news and information company. US investments in the sector jumped to $56 billion last year, up 7.6 percent compared with 2014. These impressive figures are perhaps the clearest sign that clean energy has turned the corner, no longer just a boutique industry with small, experimental companies, but rather a rapidly maturing sector that is going big time, fast. Instead of startups with possibility, the bulk of the money — nearly two-thirds of global clean energy investment — is going to utility-scale projects, particularly solar and wind installations that can generate power for tens of thousands of homes. Ameresco’s own history reflects the trajectory of the clean energy in recent years. Five years ago, less than 12 percent of its revenues came from renewable energy; today, its renewable projects account for about 25 percent of Ameresco’s $630 million in revenue, Sakellaris said. Ameresco’s handiwork can be seen along the Massachusetts Turnpike near Framingham and Natick, and Route 3 in Plymouth, where the company recently spent $12 million building five solar farms that can generate a combined 2,500 kilowatts of electricity, or enough to power about 500 homes. Solar and wind facilities built by other companies are popping up all over the state. So why now, with crude prices so low? Ed White, vice president of new energy solutions at National Grid, one of New England’s largest utilities, said several factors are driving the surge in investments, including government mandates and incentives to deploy more renewable technologies to cut carbon pollutants from oil, coal, and natural gas. Those pollutants are blamed for accelerating global climate change. Clean-energy prices also are falling fast: The generating costs of solar and wind technologies have declined by about a third since 2010, DaPrato said. With federal tax incentives, wind and solar power cost about the same as spot market prices for electricity generated by coal and natural gas. 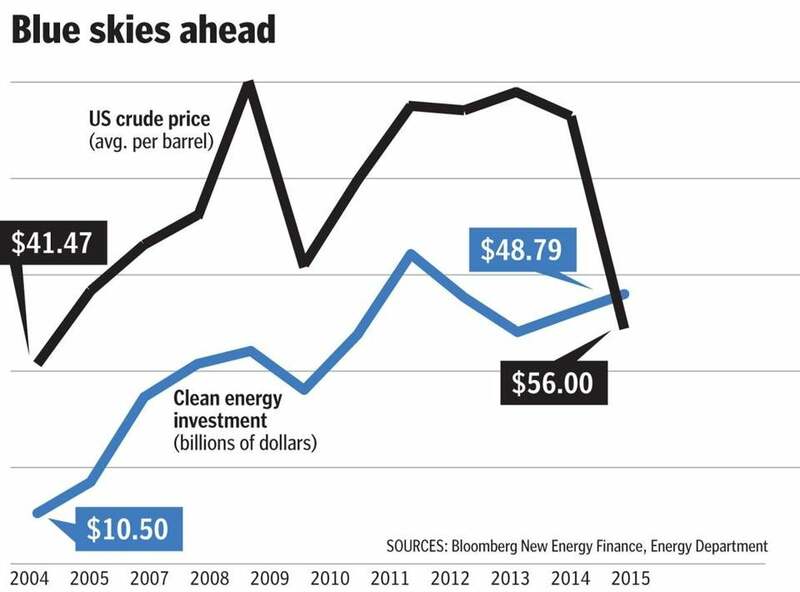 “Clean energy prices are much more competitive than they used to be even a few years ago,” he said. A traction motor was attached to a truck’s transmission. Massachusetts’ clean energy industry has experienced bumps lately. After peaking at $859 million in 2013, local clean energy investments by venture capital and private equity firms, state and federal governments, banks, and other sources fell to $549 million in 2014, according to the latest data from the Massachusetts Clean Energy Center, a quasipublic agency that promotes the industry here. 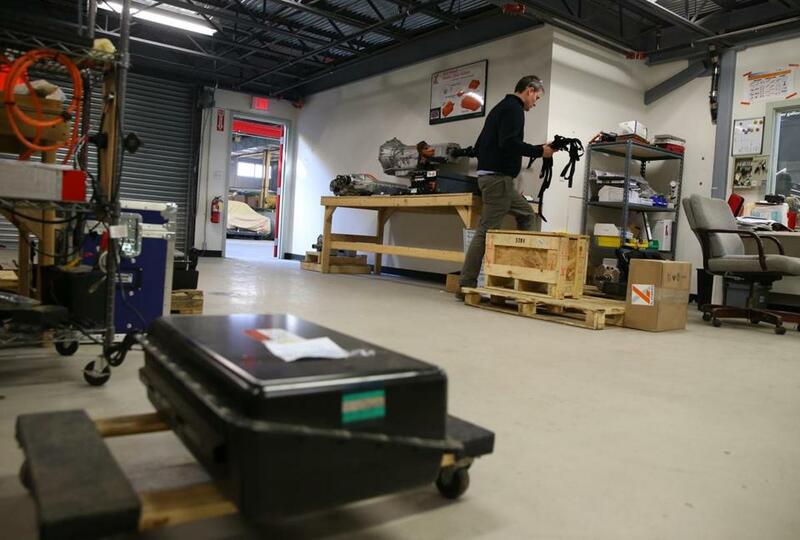 Industry officials said the decline is tied in part to the burst of federal stimulus money that Massachusetts companies and universities attracted for clean energy efforts in the wake of the last recession. That funding has not been renewed by Congress. Stephen Pike, interim chief executive at the Massachusetts Clean Energy Center, said a better way to measure the local sector is the growth of clean-energy employment in Massachusetts to about 99,000 workers in 2015, up 12 percent from about 88,000 in 2014. Clean energy employment in Massachusetts has grown 64 percent from 2010. Industry officials expect clean energy investments in Massachusetts and throughout New England to boom in the near future primarily because of spending by large utilities and multinational companies. They point to the proposed $1.6 billion Northern Pass transmission project that could bring into the region about 1,100 megawatts of hydroelectricity from Quebec, or enough to power 1 million homes. Eversource, the large regional utility that plans to build the 192-mile transmission line, hopes Northern Pass can be operational by 2019. Meanwhile, Denmark-based DONG Energy, a major energy player in Europe, is proposing what could be North America’s largest offshore wind farm 15 miles south of Martha’s Vineyard. That project, which has yet to receive necessary approvals, is expected to cost more than $1 billion and generate as much as 1,000 megawatts of electricity. 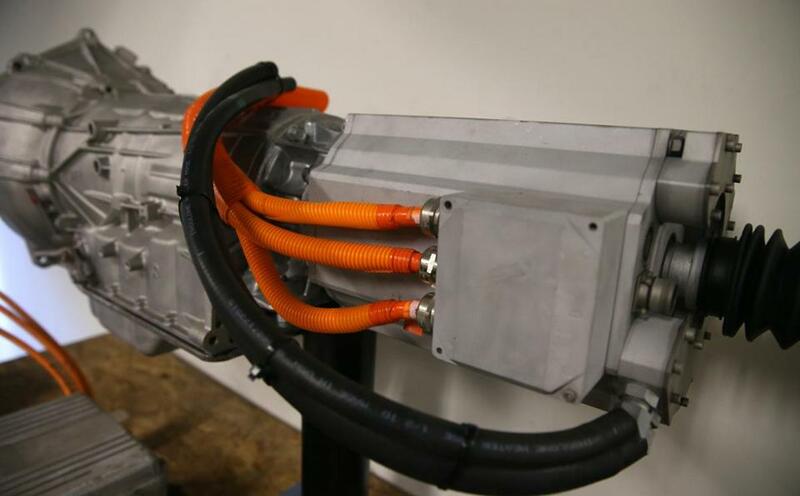 In 2009, Tod Hynes founded XL Hybrids Inc., a Brighton maker of battery electric powertrains that convert fuel-guzzling commercial vans and trucks into hybrid vehicles consuming 20 percent less fuel. Last year, the company raised $10.5 million in venture investments. Lower oil and gas prices make his business more challenging, Hynes said, as some companies lose the financial incentive and interest in converting their vehicles into hybrids. But, he added, his business has remained steady because many other companies still want to save money by cutting fuel consumption. He declined to disclose sales figures. Some companies also want cleaner-running vehicles to contribute to the fight against climate change, Hynes said. Though XL Hybrids has yet to become profitable, its clients’ large fleets of vehicles have included FedEx Corp., Coca-Cola Co., and PepsiCo. Inc.